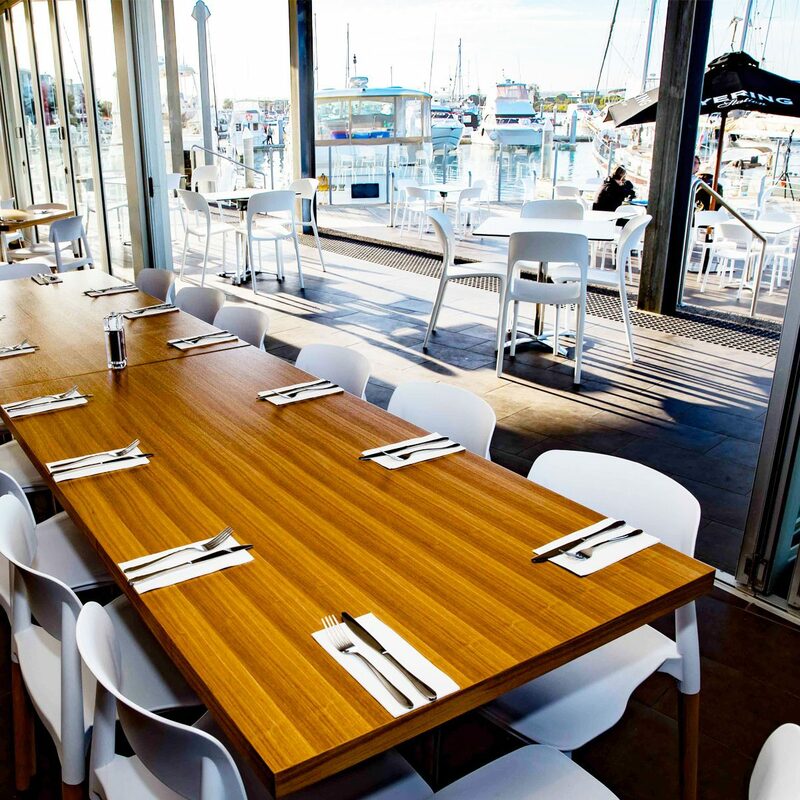 The main downstairs restaurant space at 360Q is the best spot in Queenscliff for an early brekkie, a leisurely brunch or lunch with friends, or perhaps an intimate dinner for two. We are open seven days a week for breakfast and lunch, and for dinner Thursday to Sunday, with a special set three-course roast special on Sunday nights. 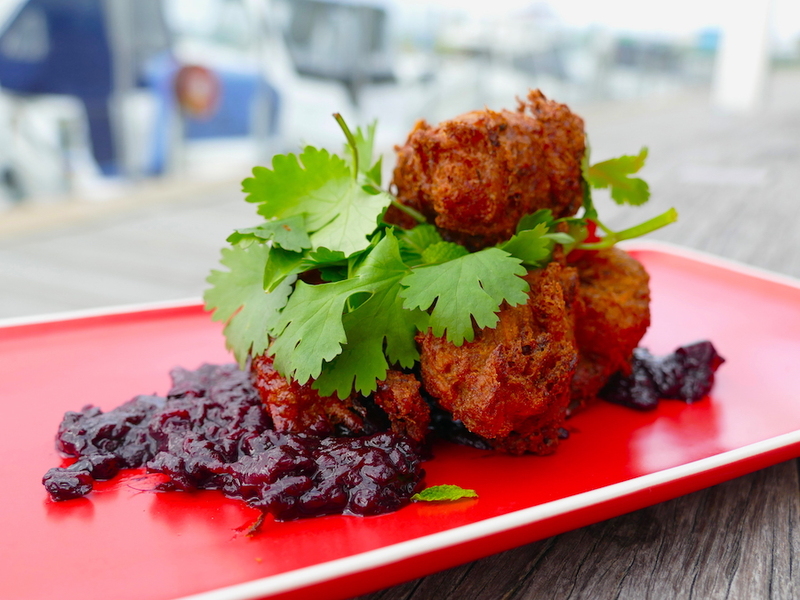 Our team of the most talented chefs from both the Bellarine and Mornington Peninsulas have created a sensational menu which not only offers exceptional value, it reflects the restaurant’s waterfront location at Queenscliff Harbour and caters for meat lovers and vegetarians alike. It’s like wonder we’ve been voted the #1 restaurant in Queenscliff on Trip Advisor. Consider 360Q’s Ultimate Big Brekky with poached eggs, bacon, chorizo, hash brown, grilled tomato and field mushrooms on toasted sourdough; our very popular fresh Bahn Xeo Vietnamese rice pancake filled with crunchy salad, prawns and crab; or Vietnamese style flash fried barramundi with herb salad, lime rice and nouc cham. Delicious. We also have have gluten free, vegetarian and vegan dishes. Just let our friendly staff know of any dietary requirements. Book your table today using our online reservation system or call 5257 4200.